You may have noticed that we’ve been rather quiet over the last few months. As my due date got closer I really went into nesting and birth preparation mode. It was quite odd seeing the different fruits come into season and not harvesting them. August should have been filled with harvesting and preserving but instead instead it saw me growing in size, decreasing in mobility, organising and reading. I have to admit to feeling a bit jealous of everyone else’s harvest posts, and even my own from previous years. We did manage to harvest a little from the land, the beauty of bath apples were first, the wasps got to a fair few but we still got a few bottles of juice from them. We harvested, quartered, froze and then juiced when we had time (and my nephew’s help). It worked well. 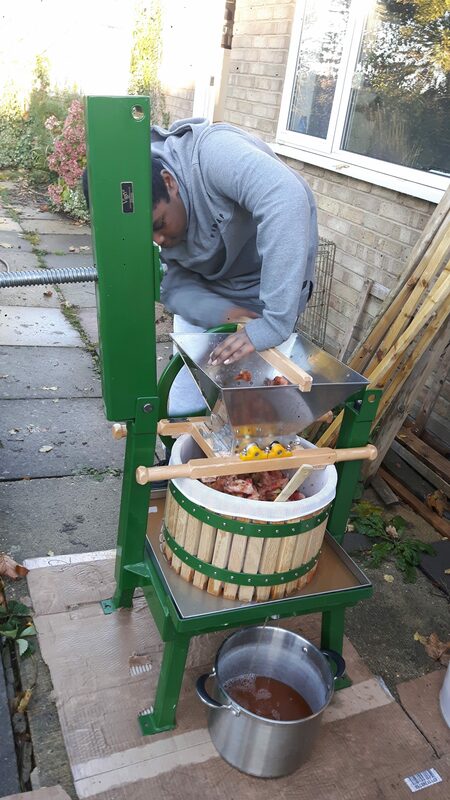 Pressing apples after defrosting. You certainly get more juice. The tomatoes were next, not as good a harvest as last year by far, we lost a lot, especially the cherry tomatoes, but we did get a few jars of passata. I also finally processed the last of last year’s toms so my passata stores are looking healthy again. We had our first experience of blossom end rot with the toms. This was our first year with raised beds but also our first heat wave year. I am hoping that if we add some more nutrients to the soil and keep steady with our watering next year, then we won’t see it again. 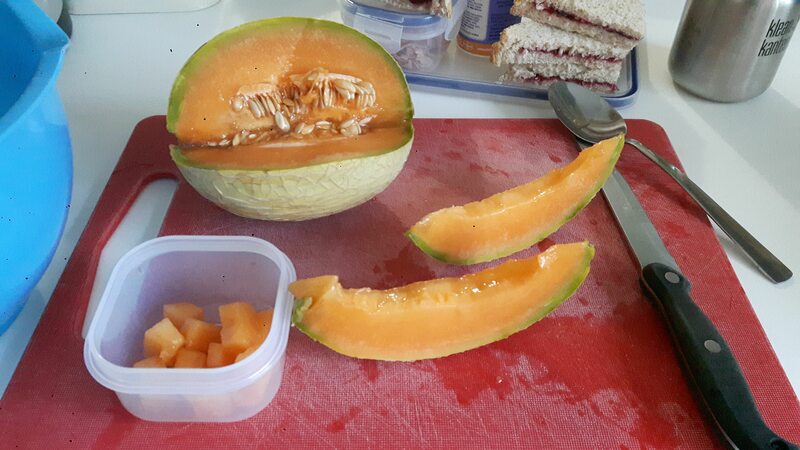 One thing that benefited from the heat wave was our attempt at melons. We got a few good size, really tasty cantaloupe melons. I’m really keen to try these again and see what we get when we put some effort in to them. We got a couple aubergines and sweet peppers too. We lost a lot of the cooking apples and pears as well. The apples were a smaller harvest anyway as one tree barely fruited but the pear trees were laden. 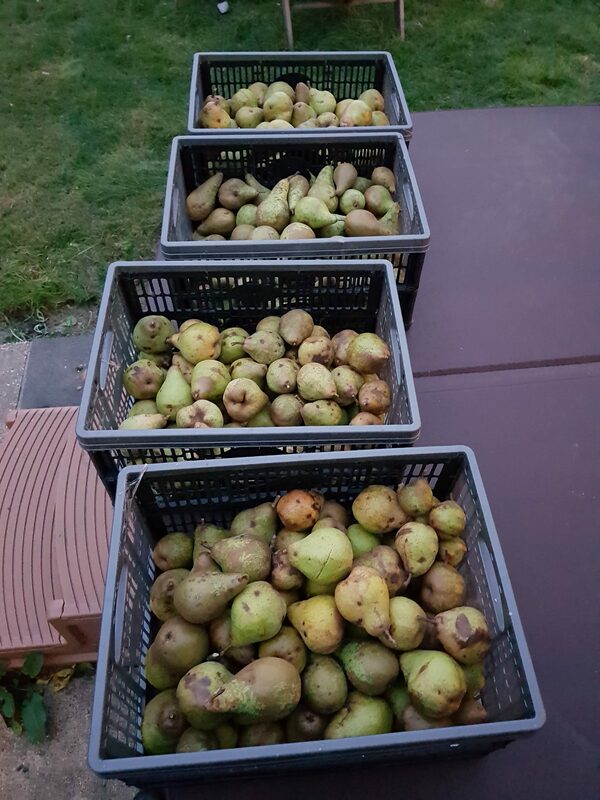 We did manage to have our first attempt at pear juice and have enough harvested Williams pears to do some dried pear. We always knew this year wouldn’t be great in terms of the smallholding, my body doesn’t do pregnancy well and we ended up with an emergency C-section which put me out of action for far longer than I had hoped. We had a go at planting, harvesting and preserving but kept our expectations low. On the upside we now have our not so little boy. I have just about recovered from the section enough to get back to work on the smallholding. It’s been a little forced as Sam broke his foot last week. It does feel good to be back to doing lots (when baby allows of course) and I’m feeling very motivated to get this place back on track. 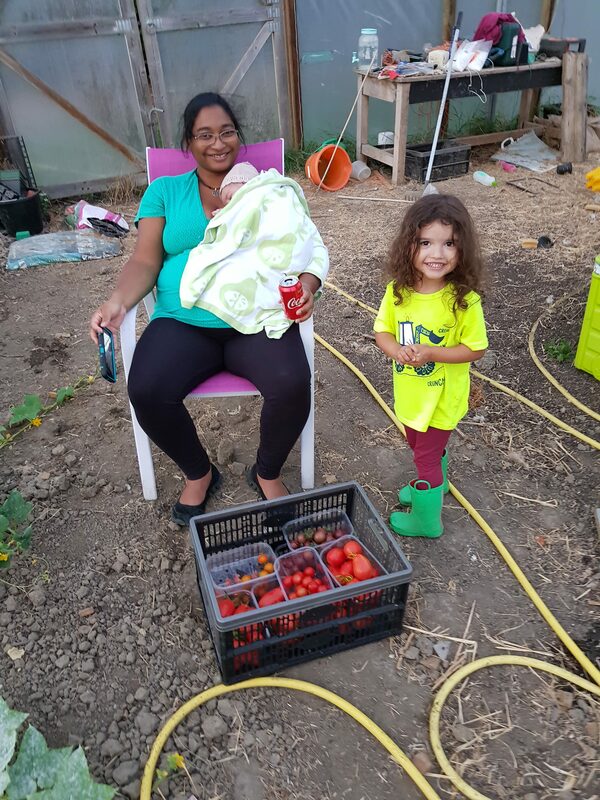 Baby’s first trip to the polytunnel.